Diligent Boards Review: "Best User Interface"
Diligent Boards was used by the legal department and the corporate executives for board of directors materials. We selected Diligent Boards for the simple user interface. The facsimile signature feature eliminated a previous issue of trying to locate board members when they were traveling. Easy end-user interface - for boards with maybe less technological experience, the format was very user friendly. Facsimile signature - eliminates trying to coordinate schedules to obtain signatures to written consents. Customer Service - Diligent Boards trained employees, not a call center, available 24/7. Administrator site - administrators need to have high level of computer competency. The administrator functions are counter-intuitive to all things Microsoft based. I found Diligent Boards was well suited for less technologically savvy directors. 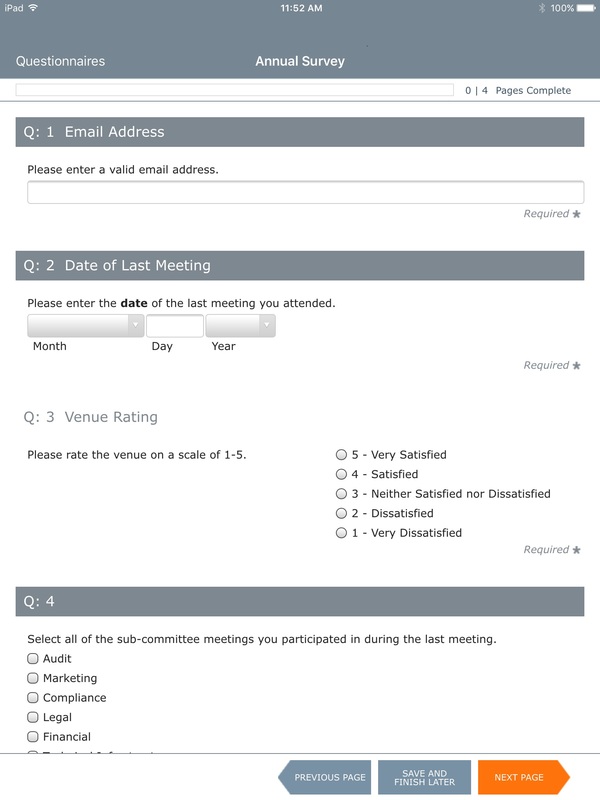 Diligent Boards is a tool for the preparation, distribution and review of board meeting materials. According to the vendor, Diligent Boards is used by 150,000+ directors and senior executives at 4,000+ companies in 60+ countries. This includes 40% of both the Fortune 1000 and FTSE 100. 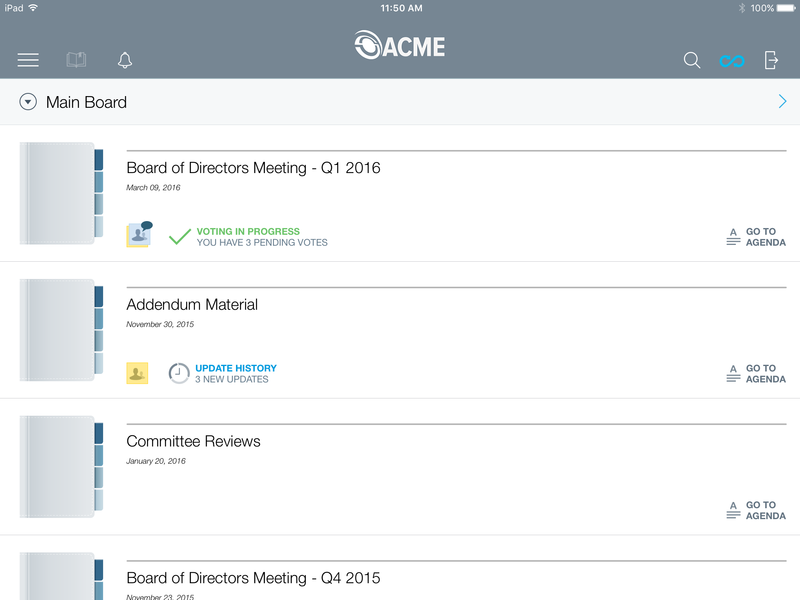 Diligent Boards aims to be a flexible tool, with a robust set of features that are designed to reflect how board members, executives, and administrative teams actually work. Diligent also offers several capabilities that, according to the vendor, are not found on other tools, including Preview to Updates, Note Saver, Smart Sync, and Quick Build. Diligent provides unlimited training and support. 24/7/365 phone support is available from Diligent staff in New York, London and New Zealand. 100% of calls are answered by a person – not voicemail – and according to the vendor, 98% of issues are resolved on the first call. Diligent has established a high standard of information security controls, both internally and through independent external validation. This includes SSAE 16/ ISAE 3402 (SOC 1 Type 2) service organization annual audit of controls and ISO 27001 Certification since 2014, as well as many others. 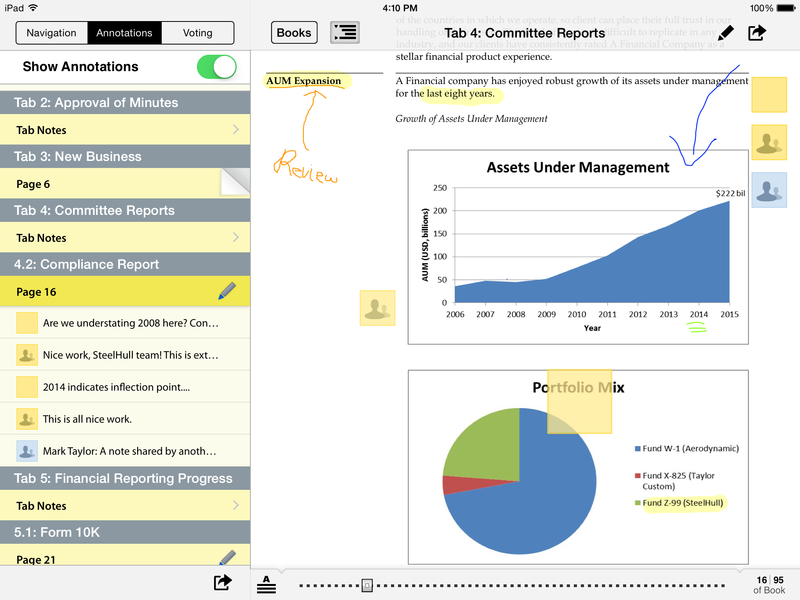 Diligent Boards main screen for viewing all your board materials by committee.Diligent Boards marked up board book with notes, annotations, and the mark-up history by user.Survey functionality seamlessly integrated in our Boards product.